Charles Dickens is the acclaimed definitive biography by bestselling author Claire Tomalin Charles Dickens was a phenomenon: a demonicly hardworking journalist, the father of ten children, a tireless walker and traveller, a supporter of liberal social causes, but most of all a great novelist – the creator of characters who live immortally in the English imagination: the Artful Dodger, Mr Pickwick, Pip, David Copperfield, Little Nell, Lady Dedlock, and many more.At the age of twelve he was sent to work in a blacking factory by his affectionate but feckless parents. From these unpromising beginnings, he rose to scale all the social and literary heights, entirely through his own efforts. When he died, the world mourned, and he was buried – against his wishes – in Westminster Abbey.Yet the brilliance concealed a divided character: a republican, he disliked America; sentimental about the family in his writings, he took up passionately with a young actress; usually generous, he cut off his impecunious children. 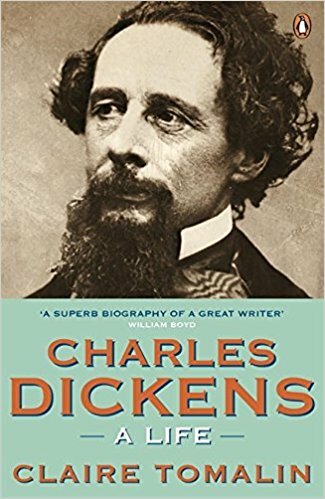 From the award-winning author of Samuel Pepys, Charles Dickens: A Life paints an unforgettable portrait of Dickens, capturing brilliantly the complex character of this great genius. If you loved Great Expectations, Oliver Twist and A Christmas Carol, this book is invaluable reading.’By far the most humane and imaginatively sympathetic account yet for the general reader’ Amanda Craig, New StatesmanClaire Tomalin is the award-winning author of eight highly acclaimed biographies, including: The Life and Death of Mary Wollstonecraft; Shelley and His World; Katherine Mansfield: A Secret Life; The Invisible Woman: The Story of Nelly Ternan and Charles Dickens; Mrs Jordan’s Profession; Jane Austen: A Life; Samuel Pepys: The Unequalled Self; Thomas Hardy: The Time-Torn Man and, most recently, Charles Dickens: A Life. A former literary editor of the New Statesman and the Sunday Times, she is married to the playwright and novelist Michael Frayn.